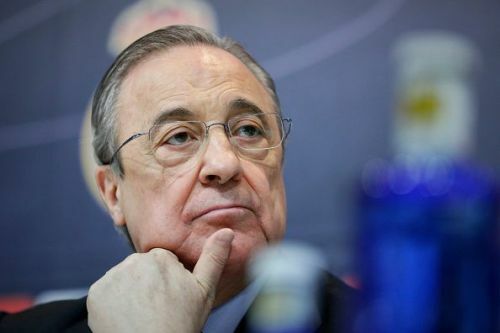 Will Florentino Perez make Eden Hazard his next Galactico signing at Real Madrid? According to a Spanish Radio Network Cadena SER, Real Madrid plan to test Chelsea's resolve and target Eden Hazard in the January transfer window. The Belgian forward had previously claimed that he would love to make a move to the LaLiga giants. Real Madrid have struggled to score goals this season and the report says the club want to take advantage of his precarious contract situation at Stamford Bridge to negotiate a mid-season transfer. The 27-year-old Blues star currently leads the Premier League Golden Boot race with 7 goals to his name. Hazard also has 3 assists so far. He has contributed to a goal every 57 minutes so far, starting six games and coming on as a substitute twice. Hazard has found a new lease of life under new manager Maurizio Sarri who he feels is a breath of fresh air after Antonio Conte's defensive-minded tactics saw the Blues score the least number of goals among the top six clubs last season. Real Madrid did not replace Cristiano Ronaldo with another Galactico signing after the Portuguese forward moved to Juventus for a £99m fee this summer. The club's record goalscorer had been the top goalscorer in every season since 2010. However, since his exit, Real have struggled to get on the scoresheet - especially in recent games with both Karim Benzema and Gareth Bale struggling. Los Blancos have failed to score in their last four fixtures in all competitions. Their dip in form has seen them drop to fourth in the standings. Although they are only two points off the top, there has been criticism from many corners because they have not taken advantage of Barcelona's drop in form (three draws and a loss in their last four league fixtures). New coach Julen Lopetegui usually plays a 4-3-3 and Hazard would replace Marco Asensio if he came into the squad. Asensio has struggled to score too, scoring just 1 goal in 764 minutes. Hazard's current contract ends in 2020 and he is currently valued at around £110m. However, Chelsea are in the driving seat here. They are in the title race this season and will be reluctant to sell their key player in January. With Hazard enjoying his new role under Sarri, he could see out the season even if he has the opportunity to play in the Champions League for Real Madrid in the knockout stages if they qualify. This may also be a move by Real Madrid to lay the groundwork for a summer transfer. Hazard's head has already been turned, judging by his quotes. Hazard saw his former Chelsea teammate Thibaut Courtois move to Real Madrid before he entered the final year of his contract. He may follow the same route as his international teammate in the summer of 2019.